Tilapia is a freshwater fish and is considered as one of the top five most consumed seafood in the US because of it's mild tasting meat which makes it very versatile and open to different ways of preparing it. 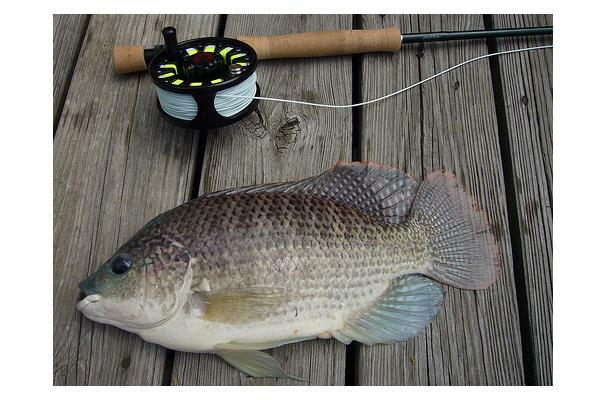 The outer skin of the Tilapia varies from black with white scales to pinkish red. The meat is white, firm and mildly sweet in flavor similar to catfish. Tilapia can be prepared by baking, broiling, grilling, frying, poaching, or steaming. Buying: Only buy freshly harvested Tilapia. Tilapia can be stored in freezer for a maximum of two weeks. One of the most important fish species used in aquaculture with a production over 1.5 million metric tons/year. History: Member of the cichlid fish family originated in Africa.